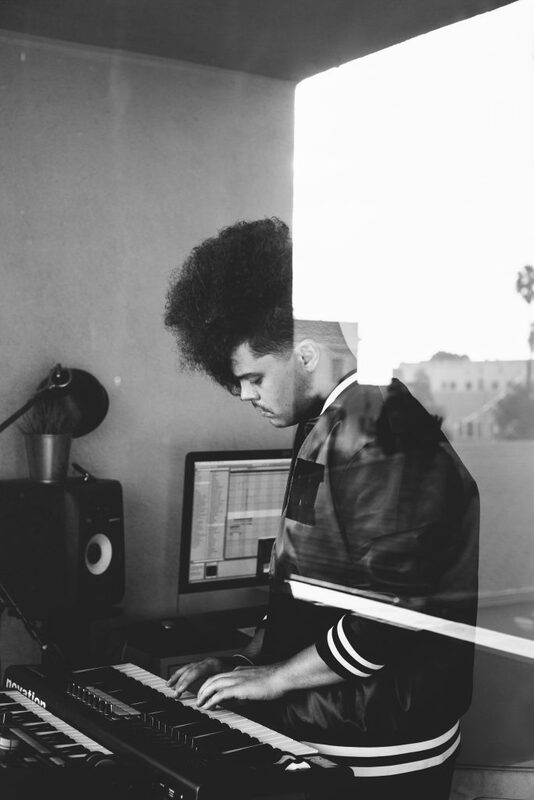 Verskotzi is an LA based artist, producer, and writer. Known for his diverse electro-pop sound, Verskotzi has received praise from The Fader, We Found New Music, All Things Go, and mentions in publications such as Rolling Stone and The Guardian. He has recently entered an exclusive Worldwide Songwriter/Co-Pub deal with Angry Mob Music. His recent releases include his debut album No. 90 and single “Better Bitter” featuring Francine Magee. Catch his live performance at the Peppermint Club in Los Angeles on May 4th. Click here for tickets! 1. Where did your love and passion for music come from? My general love and passion for music comes from the escape it’s always provided for me. Just listening, to this day, can take me completely out of whatever is happening that day, week, year, etc. It’s also the most nostalgic thing that can bring you back to a certain time… reverse escapism? But specifically, when I started writing my own songs when I was 12, I became addicted to the process. There’s nothing more satisfying than listening to an album, song, and/or score that I wrote from start to finish. It’s the most frustrating and rewarding process I’ve ever dealt with. 2. What is it like to play live shows? Shows are one of my favorite aspects of being an artist. It’s so great to flip songs on their head with my amazing band out here in LA and give them new forms from the records. Shows typically generate a lot of anxiety for me (lots of things generate a lot of anxiety for me, ha). But those nerves always turn into adrenaline. I’m actually playing a show at Peppermint Club on May 4th. 3. Describe the creative flow when you jump into a writing session, what is it like? I try not to put too many expectations around sessions because every single one is so unpredictable and unique from the last. I typically prep 1-3 tracks for the artist that’s coming in and produce them stylistically in a vein that their music lives in so that there’s a vibe we can jump off from. The first half hour is always me and the writer(s) getting to know each other, catching up, showing music we’ve all been working on, etc. Hopefully, by the end of the session, there’s a song there that we’re all proud of and excited to finish. 4. What’s some advice you would give to other aspiring songwriters? Listen to all genres of music and identify what makes each unique but also what the commonalities are between every great song. Stay up to date with what’s ‘cool’, what’s ‘trending’, but then make your own version of that; push the boundaries and get uncomfortable. Be open to criticism, especially from people who aren’t songwriters or in the industry. ‘The listener’ is who we’re trying to connect to, artistically, so pay attention to what they have to say. 5. What is/are your favorite albums of all time?